An Impossible Burger has been ordered at the Salty Dog in Brooklyn, New York. The thick red patty is placed on the grill, and the heavenly smell of cooking meat fills the air. The burger is cooked to still slightly pink perfection, crispy and brown on the outside, and nestled into a bun with a crown of lettuce and tomato. A handful of golden fries are laid alongside, and the burger is taken out to the hungry guest. The patron bites into the juicy burger, enjoying the glorious sin that is perfectly cooked beef. Except there is no beef in it. The Impossible Burger is part of the artificial meat movement, a growing phenomenon where meat is consumed in every possible manner, without ever once slaughtering an animal to get it. Gone are the days where carnivores had to choose between their ideals about the environment, and their desire to sink their teeth into a fresh and juicy steak. Faux meat, such as the Impossible Burger, uses the power of heme to make their burgers so realistic. Heme, which is found in animal blood and is responsible for much of the flavor we associate with meat, is also found in the roots of legumes. These foods have come a long way from the lackluster bean patties of yesterday, but they aren't the only option now for carnivores with a conscience. Another option currently being worked on by scientists is lab grown meat. While lab grown meant has been around for over a decade, you haven't seen it in the supermarket yet because of its costs. The first burger patty grown without the need to slaughter a cow cost $323,000 to produce. The cost of it now? $11. 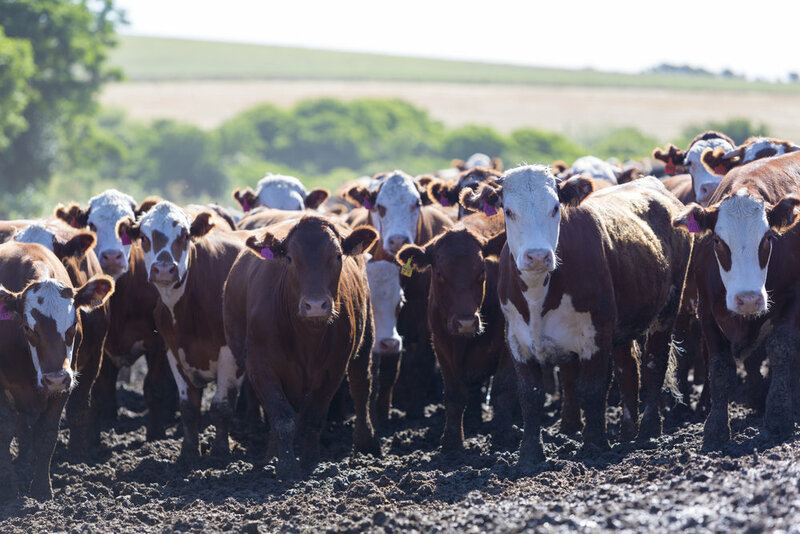 While it may be a few more years before these lab produced meats become widely available, the growing demand for meat that doesn't impact the environment has been heard loud and clear by investors all around the world. The reason for this shift isn't about our emotional bond with livestock, although this has been the main reason people have stopped eating meat in the past. It is due to a far more urgent reality: Agriculture is currently responsible for 16% of the world's greenhouse gas emissions. Outside of the energy sector, agriculture has the largest impact on global warming. While 16% might seem like a small amount, this is actually around 6 billion tons of GHGs flooding into our atmosphere every year. Most of those carbon emissions come from livestock, from ruminants in particular. As Earth's temperatures rise, the alarming state the world is in has put extensive pressure on countries around the world to do something about it, and fast. Island nations such as the Maldives and Nauru may completely disappear due to climate change, and some nations have already been forced to relocate due to rising sea waters. Greenhouse gases aren't the only issues the intensive farming of animals is causing the planet. 80% of amazon forest clearing is so that farmers can raise cattle in the cleared areas. This magnifies the problem by removing carbon sequestering trees while at the same time adding methane producing cows. The deforestation is responsible for yet another crisis the planet is facing, the mass extinction of animals. On any given day, 150-200 animal species go extinct. These include animals we are familiar with, such as the West African black rhinoceros, which was declared extinct in 2011. Others are animals we don't even know about yet, dying because of narrow ranges destroyed by habitat loss. While extinction is a normal part of nature, this is several times the normal rate of extinction, and much of it is attributed to agriculture. These alarming statistics are pretty conclusive evidence against keeping livestock, but culture is a powerful thing. For the majority of first world citizens, the idea of losing their beloved burgers is a hard one to accept, and it is easier to turn a blind eye on global warming or point at other, easier things to fix, than to change your lifestyle to match your ideals. While this may seem like a petty excuse, it is one that needs to be addressed if real change is going to take place. Ending meat consumption is hard, and big business doesn't make it any easier. We are constantly surrounded by advertisements tempting us to eat more and more, and meat as well as other animal products are heavily subsidized. When a bunch of carrots costs more than a burger off the dollar menu, choosing the option that is better for the planet gets a whole lot harder. If the true price of meat, dairy, and other animal products were reflected in the prices, meat eaters themselves might well find the strength to stop the cycle themselves. For some, who may even want to make the switch to a healthier lifestyle such as veganism or even a Mediterranean diet, which is less environmentally destructive, it is impossible. They are simply priced out of the market. In the Fake America controlled by subsidies, milk sometimes costs less than $2 a gallon, and eggs can go for as little as $0.99. If the true prices were reflected on the store shelves instead of in our taxes, that gallon of milk could be as much as $6 a gallon, and so could the eggs. In the mean time, those who care about the environment and truly want to save the planet are surrounded by difficult choices every day. It's thanks to incredibly realistic faux meats like The Impossible Burger, and lab grown meats that don't require the intensive farming cheap meat does, that other options are now on the table. We need to make a shift in our diets in order for the next generation to have a future at all. That much is clear. Doing so requires a social shift that may seem impossible, but with the help of scientists and other researchers all around the world, that change is becoming easier every day. Click here to find where to try the Impossible Burger.